Biarritz is situated on the beautiful Atlantic coast in the Southwest of France, only some kilometers away from the Spanish border. It is one of the most popular surf spots in Europe and has earned its reputation in the whole world. The combination of a very beautiful landscape and world-class surfing has made the Biarritz region one of LadiesCamps’ favourite surf destinations. Weather depressions in the North Atlantic generate regular swells that funnel into the Gulf de Gascogne, making this resort town a year-round surfing destination. The Basque Coast offers a variety of waves that break under almost all conditions. The Biarritz surf area stretches from Hendaye, a few kilometers from the Spanish border, to the city of Anglet. Along the coast in this area the sizes of the waves vary from beach to beach. Depending on the conditions of the waves, we will have the opportunity to do nice surf excursions in the close neighborhood, e.g. Seignosse, Capbreton, Hossegor, and Hendaye. The Basque coast offers a variety of waves that break under almost all conditions. In addition to excellent surfing the Basque region offers a beautiful landscape, a unique culture, food and wine. Hossegor, just north of Biarritz, is the epicenter of European surfing culture. 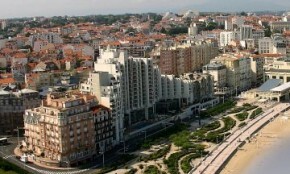 The city of Biarritz, has a population of little over 27 000 and is renowned for its casino, beaches, and surfing. 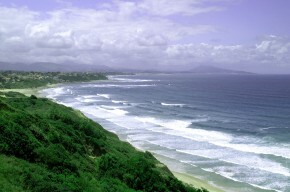 It is a luxurious seaside town which is popular with tourists and surfers. The city has a flamboyant and vibrating nightlife. Nearby Hossegor is the centre of the surfing industry with a huge beach and waves breaking. In Hossegor you bump into the world’s best surfers hanging out in small cafés and bars on the pavements of the village. Read more about Biarritz here. Climate: Mild and temperate weather year round. In 1957, the surfing world first discovered the waves of Biarritz on the southwest coast of France. In the 50 years that followed, surfing became such a part of the local culture that the words surfing and Biarritz are now almost synonymous. Summer is a popular time, but also the most crowded and inconsistent. The end of the summer, beginning of autumn is the best time to go, the water and air temperature are still good, waves are good and most of the crowds have gone home. You will needs board shorts/shorty in summer, a 4/3 for spring and autumn, and a 5/4 wetsuit with cap and gloves in wintertime. Lacanau Ocean: Host of the annual ASP contest. It is a beach break, which can be good, depending on the shape of the sandbanks. Biscarosse Plage: A nice little village, with some descent waves here, less crowded than Lacanau. Mimizan Plage: Nice little village. If there is a real terrible smell in the morning, go surfing offshore. From Mimizan until Hossegor there are several good remote beaches which get good surf without the crowds, but the access is difficult. Vieux-Boucau: Same waves as in Hossegor, but less people in the water. Nothing to do in the evening. Hossegor/Capbreton/Seignosse: One of the best beach breaks in the world, especially La Graviere has very fast tubes. But at high tide the Shore break is a true board snapper! The ASP contest is held at Les Estagnots. Lots of people in the water in summer. Nightlife is excellent at the Rockfood, in September you can meet the pros there. Anglet: Anglet has some very good beaches for surfing, but not in summertime. 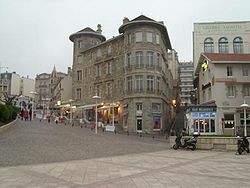 Biarritz: This is a very nice town to visit. It is also very crowded in the summer, and the ‘Grande Plage’ is not that ‘Grande’ so it gets very crowded. On the beaches of Biarritz are a lot of long-boarders because the waves are normally not breaking that fast here. Bidart: Good waves here, less crowded than Biarritz. It doesn’t have a very nice beach. Guethary: Guethary has a very nice little harbor, and was home to the 1996 long-boarding world championships. The waves can be perfect here, because it can hold swells up to 4 meters. But it breaks over rocks so beware! Les Alcyons: Same as Guethary , but this one is a left and it is very powerful. St Jean de Luz: It can have some good waves, and it is a nice place to visit. Hendaye: Hendaye needs a big swell to break. This is the last place before the Spanish border. Check out the waves in Biarritz here and read more about surfing in Biarritz here. Get driving instructions here or here. The closest airport is the Biarritz/Bayonne Airport (about 30 km). Other airports in the region are Bordeaux and Pau. Another option is to fly to Bilbao in Spain. There is a direct connection from Paris with the TGV. Get off in Bayonne if you are going to Bidart. There are trains directly to Biarritz. Book your train tickets here. Surfing is excellent along the entire Basque coast. A surf class on the beach. 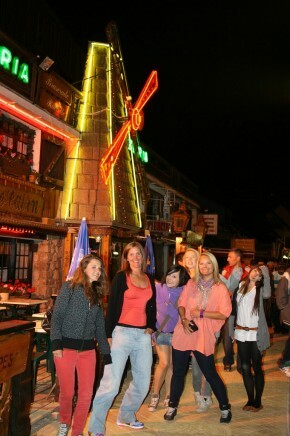 The night life in Biarritz is vibrant.